El Rockefeller Center (también conocido como Rockefeller Plaza[cita requerida]) es un complejo de 19 edificios comerciales, que cubre 22 acres entre las calles 48 y 51 en la Ciudad de Nueva York, Estados Unidos. Construido por la familia Rockefeller, el complejo está situado en Midtown Manhattan, abarcando el área entre la Quinta Avenida y la Sexta Avenida en la isla de Manhattan, Nueva York. En esta zona se encuentran algunas de las boutiques más lujosas de Nueva York. Fue declarado un National Historic Landmark en 1987.​​ El Rockefeller Center está compuesto de multitud de tiendas y teatros con gran reputación, como el Radio City Music Hall. El complejo es un destino turístico, debido a los numerosos decorados de la Rockefeller Plaza, la vista ofrecida por el observatorio del Edificio GE, y además de las muchas actividades estacionales, como la pista de patinaje sobre hielo o el gran árbol de Navidad, que cada año congregan a millones de personas. Great view of the upper side of New York City. You can see Central Park from the top. That have a great system for going to the top. You get a time window when you need to arrive at the elevators to go up. So you aren’t stuck in a line too long. You can take your time at the top. I would recommend going to the top of the rock vs the Empire State Building. Keep in mind the visibility when you go. Careful which tour you sign up for too. If you want the NBC tour make sure it states that or you may end up on an art tour around Rockefeller which is good, but it’s not NBC. What can a reviewer write about Rockefeller Center that has not been written before. The Murals! The gleaming floor surfaces, indoor plantings . . . . More. . Well maintained grounds, good level of security personnel, great shops and good restaurants, convenient Concourse on Lower Level to avoid the cold and rain, with still more shops, restrooms and eye-catching displays. . For business office space, an excellent location for offices in midtown Manhattan. Highly efficient staff and good attention to detail. Well done maintenance and upgrades for comfort, climate control, security and state-of-the-art installations. . The Plaza Area outside and below can be magical. The rooftop plantings are beautiful above those lower Fifth Avenue Buildings, which make for a near perfect photo opportunity by appointment or tour. . 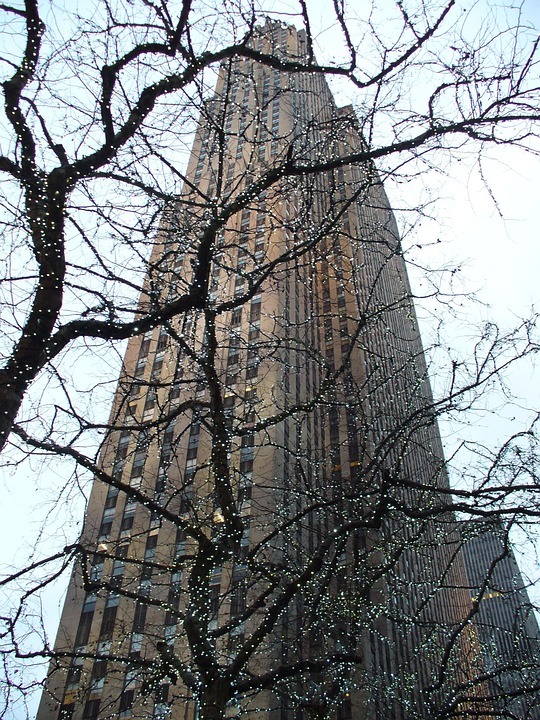 The Building Management are doing a fine job and keep the legacy of the Rockefeller Family's wise construction high on the list of "to do" destinations in New York City. . In 1930 has began implementing of a project which envisaged construction of 19 buildings in Art Deco in Manhattan. Today, this architectural complex is among the finest in New York. It is the work of the Rockefeller family. Hence the name – Rockefeller Center. The most respectable of all is the building of General Electric. It rises to a height of 266 meters above the city skyline and has 70 floors. Today this impressive skyscraper is an obligatory stop for visitors to New York. This complex is a masterpiece of modern urban architecture and contributes to the cosmopolitan radiation of the global financial capital. Each year in December at the Rockefeller Center you can find the most beautiful and shiny Christmas tree in America. If you're a tourist, this is a good place to start exploring Manhattan. Just keep in mind, THIS IS NOT YET THE WHOLE OF NEW YORK CITY. 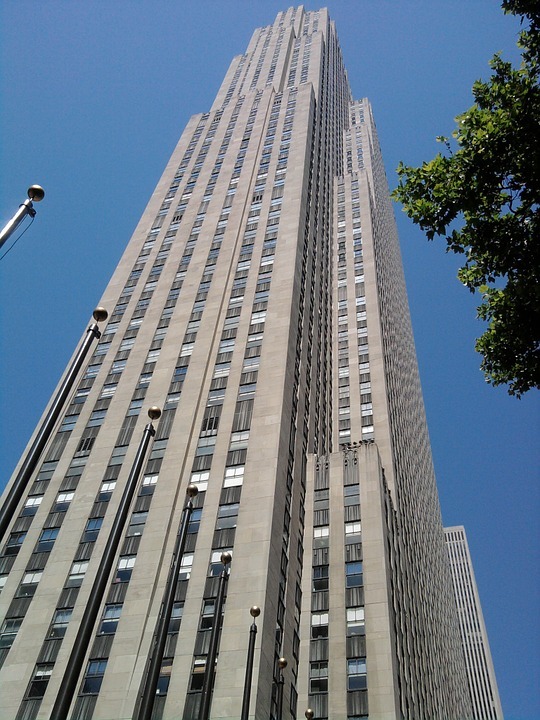 Rockefeller Center is, rather, very convenient as from there, you can go to so many attractions in Manhattan. This center is way ahead of its time in design and style, which you probably have noticed if you have traveled to other big cities. Remember, this specific center has been here way ahead than of those spaces you have been to. Enjoy! I've been wanting to go to this iconic place for years! The plaza was well kept and clean with beautiful flowers and plenty of seating. There are cool stores nearby and plenty of attractions. Be sure to check out the view from the "Top of the Rock" if you have the chance. You can see the whole city and it's a great photo op!